Enjoy spectacular views surrounded by Boulder’s finest luxury living. 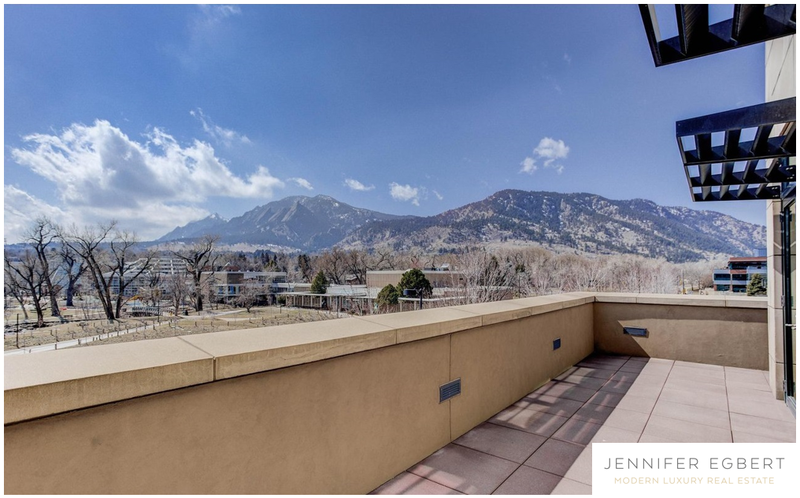 This coveted three-story SW corner unit enjoys the security of The Arete and provides one of the most gorgeous unobstructed views of the Flatirons to be found. The large deck enjoys year-round sun and connects nicely to the open floor plan, making for fabulous indoor/outdoor entertaining. Pearl Street Mall, The St Julien, CU and hiking/biking trails are all right outside your door to enjoy Boulder lifestyle at its best. Listed by Coldwell Banker Res-Canyon Blvd.